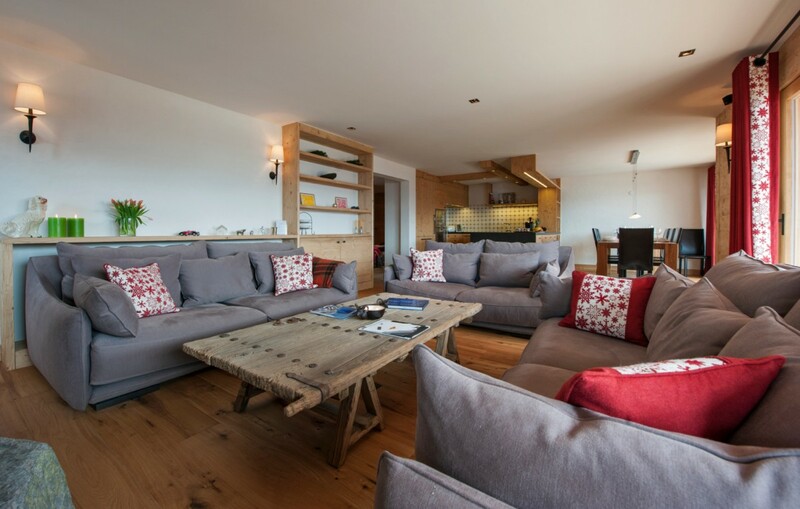 The delightful Sayeu 116 is a premium, duplex apartment with chalet-like amenities and all tucked into the wonderful Savoleyres of Verbier in the Swiss Alps. 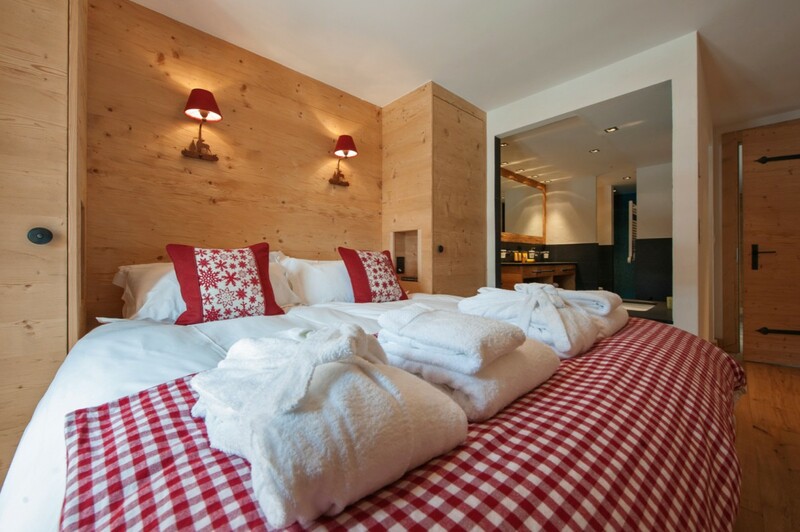 It is actually within the Burnet neighborhood, placing you just a short walk to the piste of Le Rouge. Though the location alone makes the three-bedroom gem a great find, it has much more to offer. 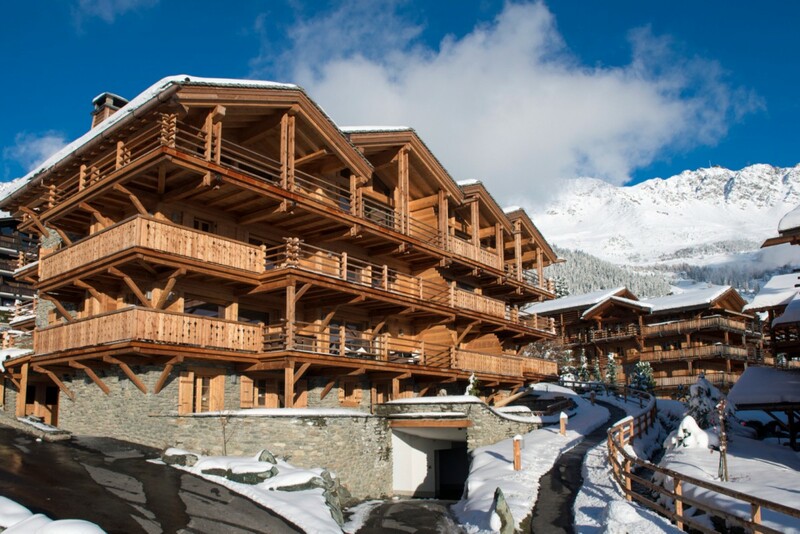 Visitors enjoy the attentive services of a chalet manager, daily housekeeping team and a concierge. 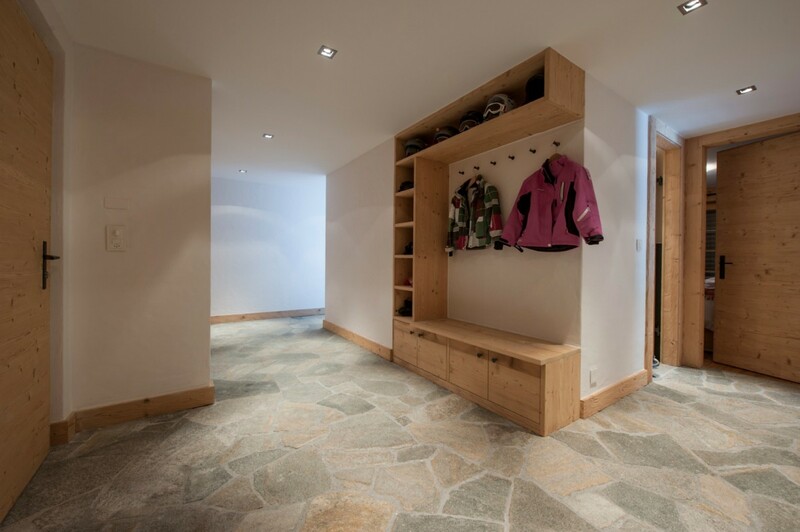 They have use of the underground garage and a fully-equipped ski room adjacent to the parking. 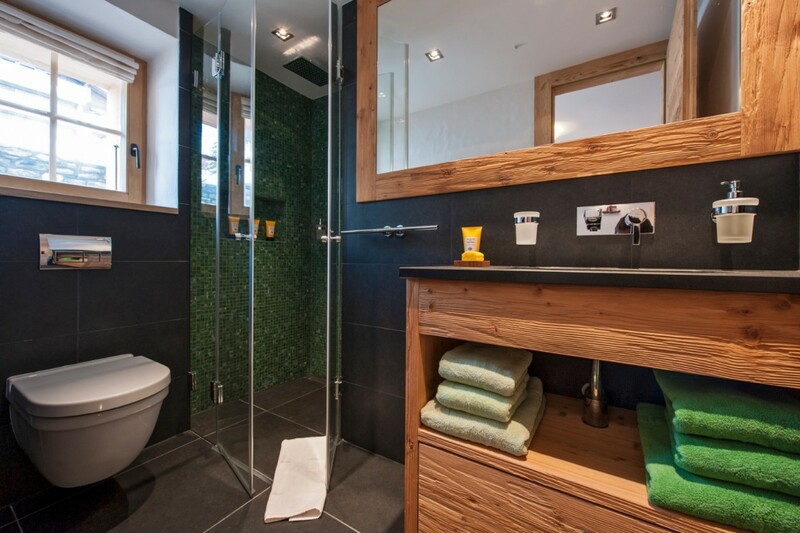 And then there is the wonderful apartment itself. Feel an immediate sense of welcome and calm as you enter the great room. With its plum and tan palette, it offers a tranquil space that features the enormous fireplace in the living room. 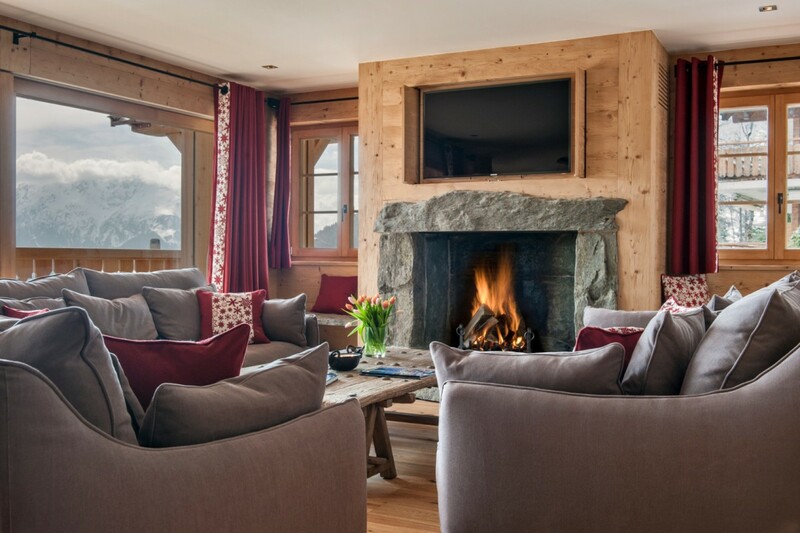 With numerous, plush sofas, you can save the non-stop scenery also available from the balcony just outside. 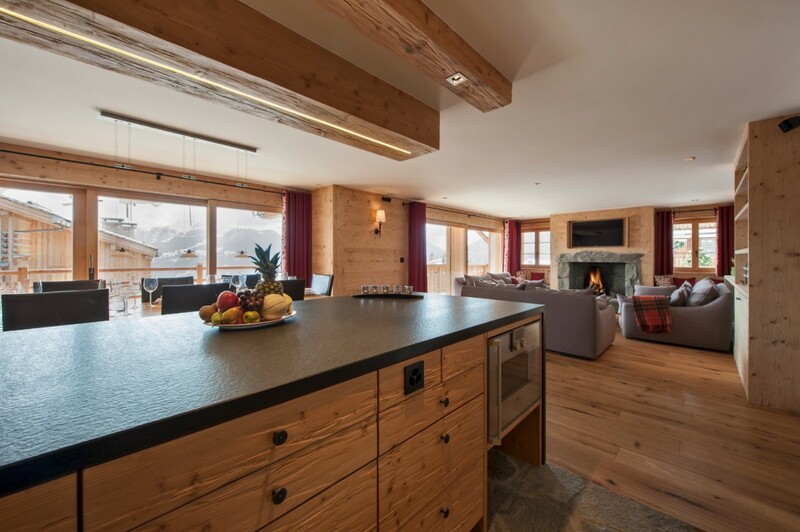 The great room is equipped with a premium entertainment system, and it opens to the dining niche and the fully-equipped kitchen. 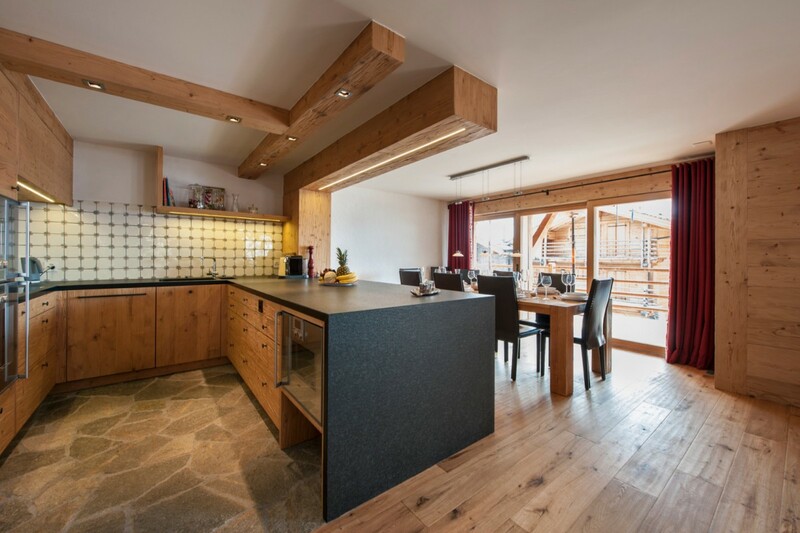 A small wine cellar is nearby, and the dining area also opens to the balcony. 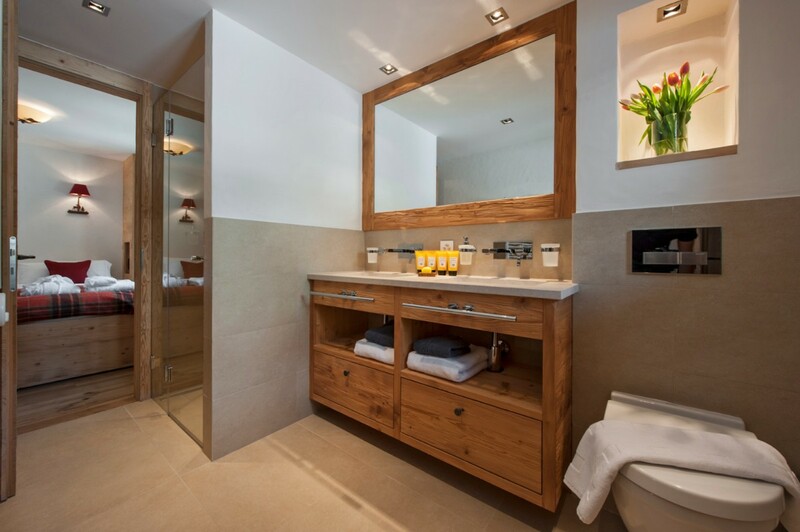 The three bedrooms are a floor below the main living area, and the master suite features a double bed with ensuite bath and doors to the terrace. 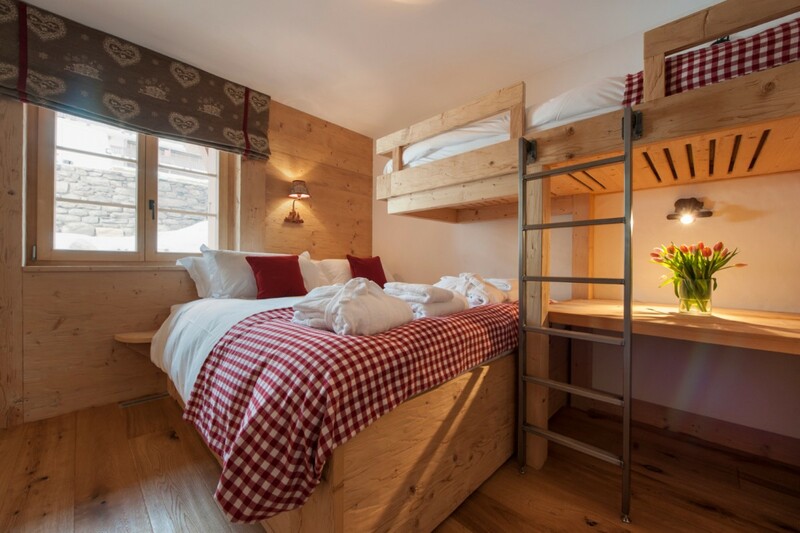 There is also a double suite with bunk and another double suite, both with private baths and one that opens to the terrace. 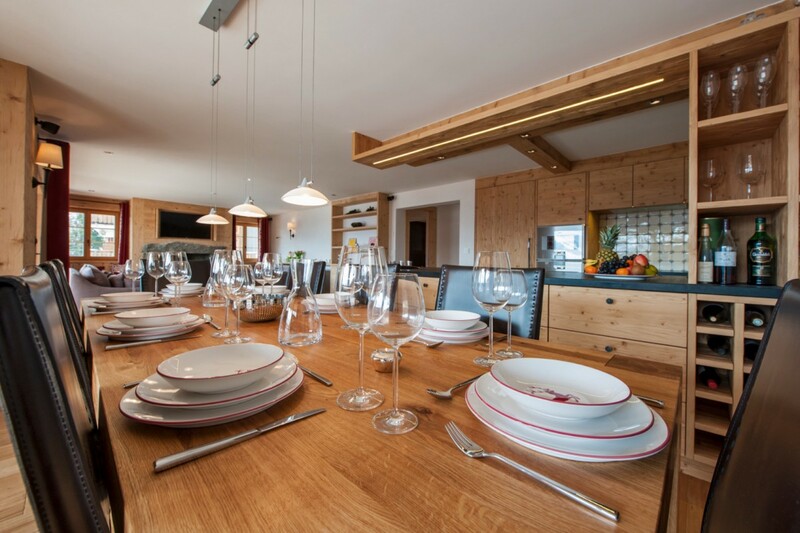 With its wonderfully uncluttered yet warm décor, its generously sized living spaces, and its remarkable setting steps from the heart of town and the pistes, the Sayeu 116 makes for the perfect family gathering place. 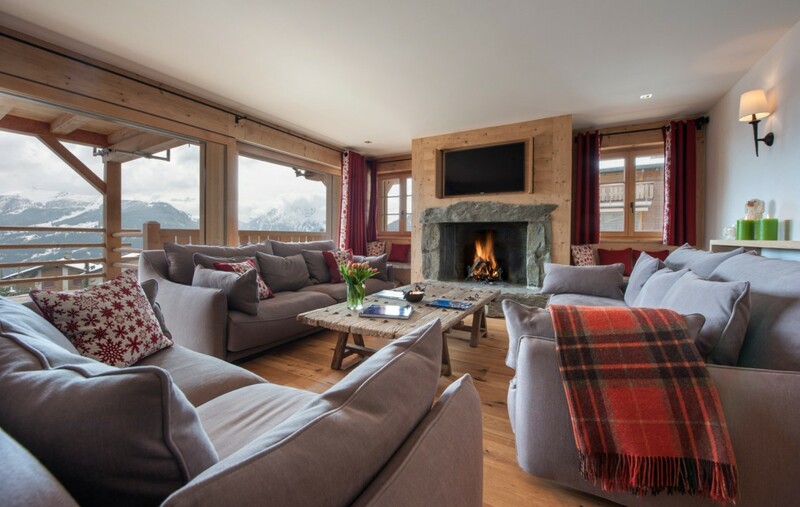 Whether you are avid skiers or simply a group in search of a premium place from which to enjoy some of the finest slopes, this luxury apartment is sure to please. 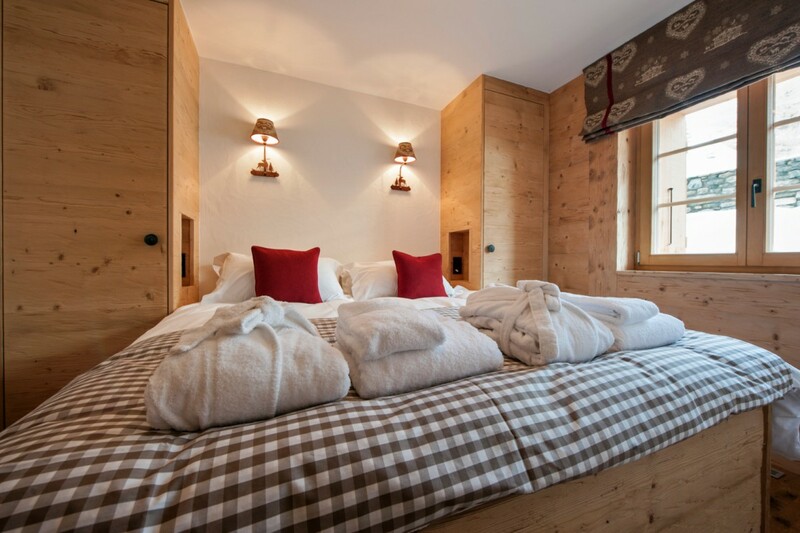 Rates include: Daily housekeeping services with a mid-week bed and bath linen change, chalet manager on call, lift pass delivery service, concierge service. Getting there by plane: Geneva Intl. Airport 2 hrs. Bern Airport 2 hrs 20 mins. Milano Airport 3 hrs 10 mins. Paris CDG Intl. Airport 6 hrs 30 mins. 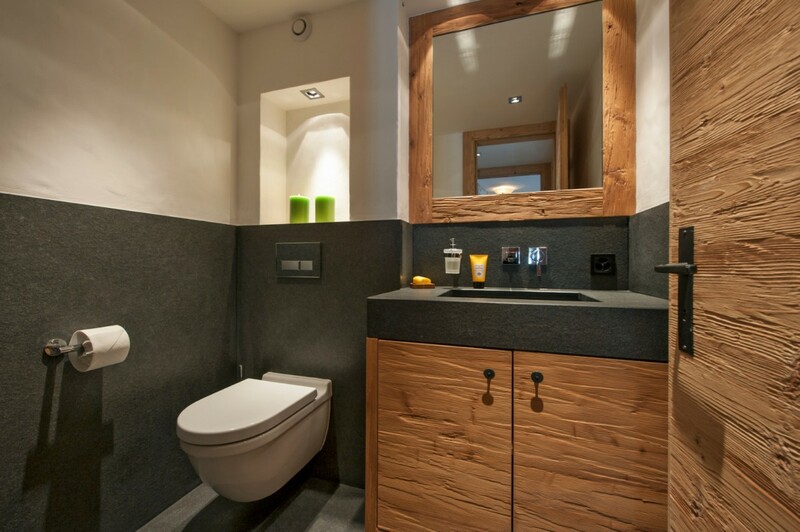 Getting there by train: Closest station Martigny - 30 mins. 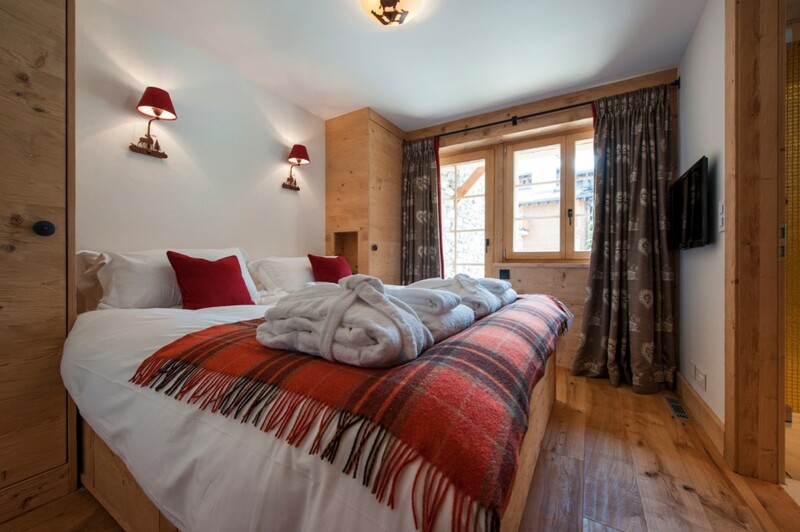 Bedroom 1: Ground floor Master bedroom with a double bed and two en-suite bathrooms with showers, vanities and WC. 2 guests maximum. Bedroom 3: Ground floor bedroom with two single beds and en-suite bathroom with shower, vanity and WC. 2 guests maximum.